The success achieved by El Mastaba bands worldwide has encouraged the Center to realize its dream of organizing and presenting the 1st International World Music Festival in Cairo (WANAS) in 2014. After the success of the first edition El Mastaba encouraged to make the 2nd edition of Wanas festival in 2015. And now we are organizing the 3rd edition of Wanas festival in the period 9th – 11th of November 2017 at the Greek Campus Downtown. Wanas Festival aims to raise awareness and appreciation of the richness and diversity of folk music in Egypt and throughout the world. For 3 days, Troupes from different parts of the world participate in interactive performances with the audience in a friendly atmosphere to present world music genre to the public. The participating troupes enjoy success in their home countries but need better exposure to promote this music genre and highlight the freedom of expression. El Mastaba Center for Egyptian Folk Music (www.el-mastaba.org) is a unique civil society organization that was founded in 2000 to revive Egypt’s rich and unique performing arts heritage. The Center, not only preserves, documents, and develops traditional music in Egypt, but is unique in its efforts to reintroduce folk music in its original communities and to revitalize its role in the daily life and imagination of the Egyptian people. In showcasing the diversity of Egypt’s musical traditions, El Mastaba demonstrates an inherent strength of Egyptian society, its pluralism. Today, El Mastaba Center manages a network of traditional musicians from diverse traditions in Egypt, including Bedouin, Sufi, Nubian, Delta, Upper Egyptian, Sudanese and the Canal Zone. 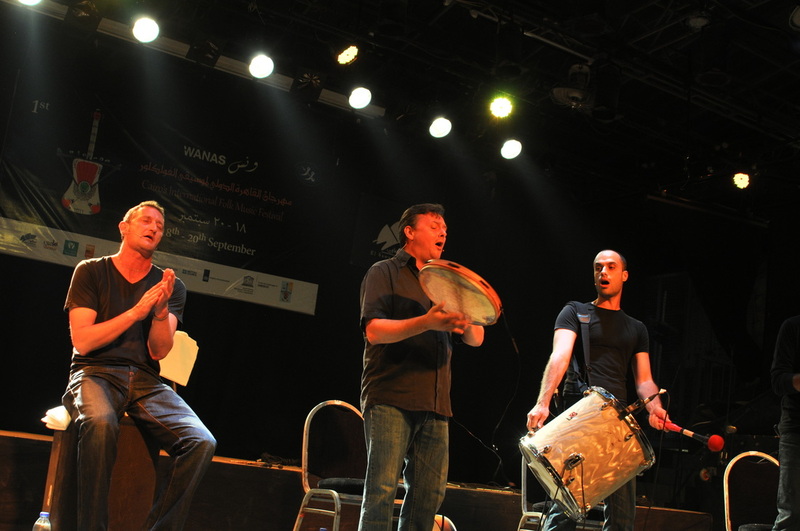 The bands perform regularly in their original communities and in El Mastaba’s theater space, El Dammah Theater, in the Abdeen area, downtown Cairo. Several bands tour regularly internationally and have received awards and special mention for their work. With their focus on performing arts and their grassroots activism that builds from rural and working classes upwards, El Mastaba is uniquely positioned to address the lack of information and bias that shape intra-class perceptions, stigmatize difference and intensify sectarianism in Egypt today. Beyond preservation or dissemination, El Mastaba takes an active role towards positive social change through education and awareness-raising at the grassroots level. The success achieved by El Mastaba bands worldwide has encouraged the Center to realize its dream of organizing and presenting the 1st International Folk Music Festival in Cairo (WANAS) 2014. 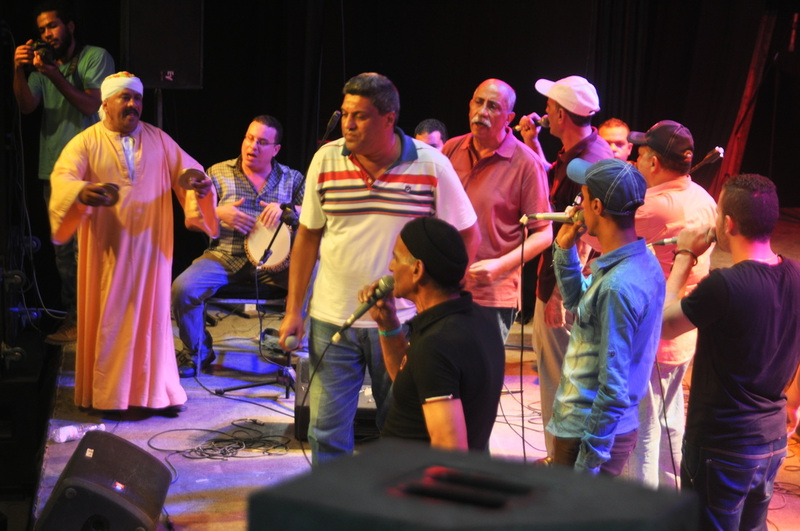 The Festival took place in El Sawy Culture Wheel, September 18, 19 and 20, 2014. 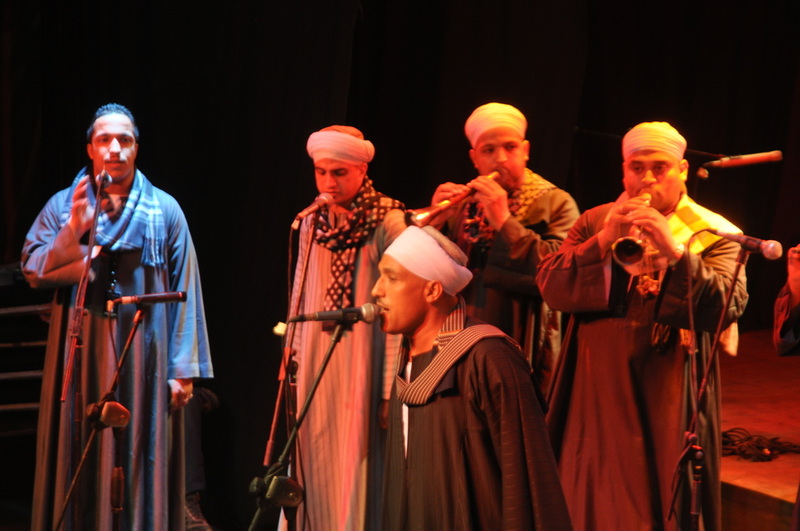 Ten outstanding local and international folk music bands met to perform for Egyptian audiences. Additionally, the Festival audience had the chance to participate in interactive workshops and learn traditional dances and instruments. The aim of the Festival is to raise awareness and appreciation of the richness and diversity of folk music in Egypt and throughout the world. 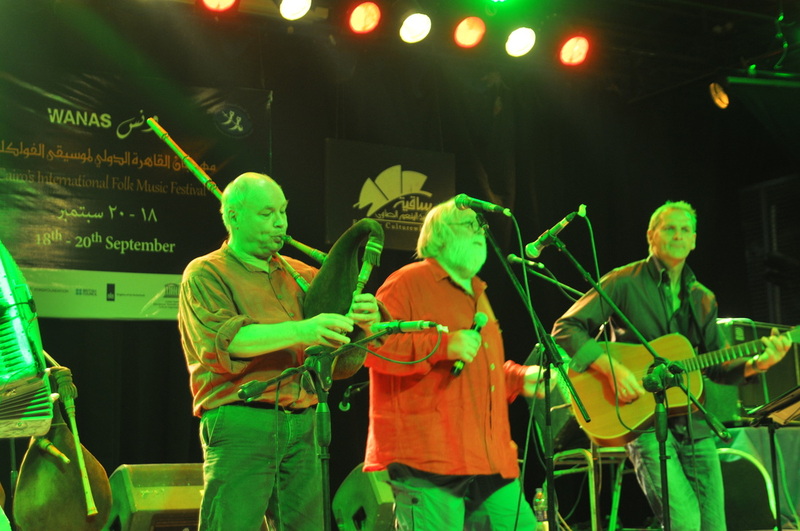 The participation of international bands encouraged perception of folk music as a valued and popular marker of cultural identity. El Mastaba Center established 1st International Folk Music Festival in Cairo (WANAS). 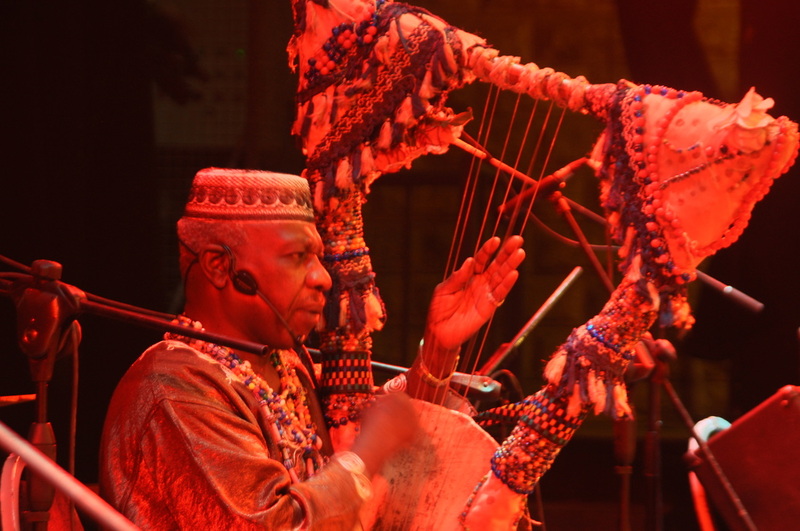 In 2014, includes 3 days of musical events and workshops, which gives the Egyptian audience, especially Cairo residents to watch and taste the rich cultural diversity in Egypt, we can say that this was first encounter with these marginalized and endangered arts such as the music of color “ dark-skinned people” which they came after Mohamed’s Ali Basha occupation for Sudan by his son Ibrahim at 1820 and bringing slaves to work at the Egyptian Army, so lots of groups of color gathered in Egypt in joined residential neighborhoods where they practiced their mixed traditional arts and became after a long time one of the marginalized Arts types. In addition to hosting 3 international bands from France, Scotland and Holland which presented World Music, to show the concept of traditional music as an appreciation notion and a popular marker about cultural identity, wherever the country that brings these arts. 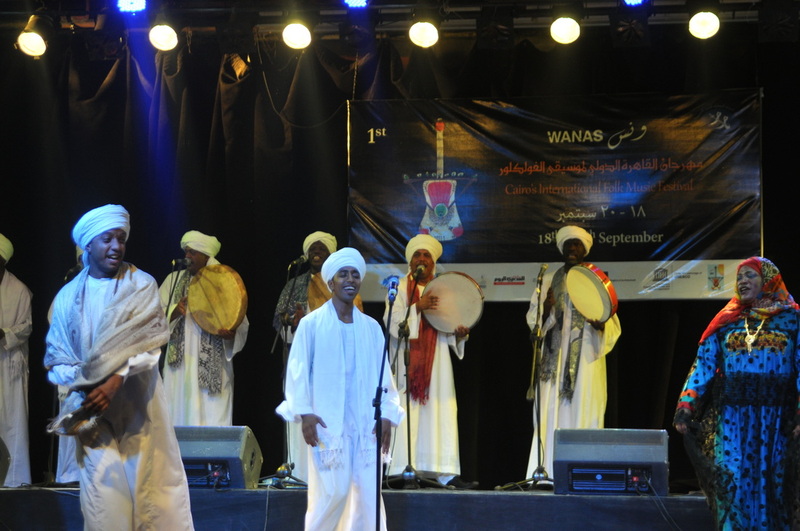 El Mastaba Center for Egyptian Folk Music is now organizing (WANAS 2) the international world music festival for the year 2015 after the success of the first edition last year. - Introducing and presenting world music, locally and internationally and the outstanding artists to the Egyptian audience. - Increasing awareness of the richness and diversity of traditional music in Egypt and all over the world. - Provide rich diversity of traditional Egyptian musical culture and identity (regardless of beliefs, geographic location, color or accent) through the traditional music of the ethnic communities. - Encourage groups of tourists to come to Egypt to attend an extraordinary performance of local and international folk music in the festival. 1- Preparation: it’s a period of time to search for donors - a voluntary force - participating bands. 2- Marketing: design and print publications and advertising necessary, hiring various channels, radio stations and newspapers to cover the festival. ﻿3- Implementation of the festival﻿: Preparing theater stage in an appropriate location in Cairo, reception and hospitality of the participating bands the day before the festival, then three days of events, day one: the opening then demonstrate 3 shows, 2nd day: 4 shows, 3rd day 3 shows then the end of the festival.